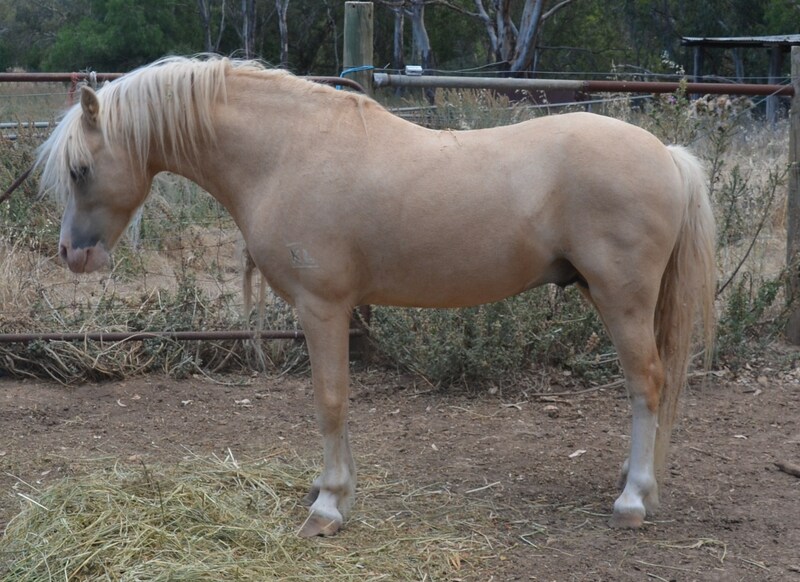 Sunny is a Pure-Bred Welsh A Pony stallion. He is registered Palomino and APSB. Sunny is a very cheeky little fellow for his size, as most little ponies are. Sunny loves to be on show and hence is a real show off! He has been shown successfully at Walbundrie Show and Henty Show in NSW. He is the only pony who “does not” want to come back to the truck after his class. He wants to stay out in the show ring to socialise and show off some more. He is such a cute little fellow and he has a huge heart, the perfect temperament to breed future Part-Bred Connemara’s.